Revitalize Medical Laser Centre is about embracing the ways we can all age optimally, feel great and look fantastic. Injectables and Dermal Fillers are now offered At Revitalize Medical Laser Centre. Revitalize offers a unique approach customized to each client’s individual aesthetic concerns. We’re not just treating wrinkles, scars, sagging skin, spots and lines…skin and aging is much more complex than that. The Revitalize clinical protocols combine science and the mystery of the human body with personalized treatment programs that focus on creating the most natural, beautiful and optimal outcomes for our patients. Injectables are a safe, non-invasive treatment that creates a more youthful, relaxed, and refreshed looking appearance is what Revitalize embraces. Xeomin Cosmetic™ is an injectable treatment used to smooth out fine lines by relaxing the muscles underneath the skin and preventing it from contracting into a wrinkle. The effects usually last from 3 – 4 months, but after time repeated treatments begin to last longer. It is so quick and simple you may resume your normal activities shortly after. 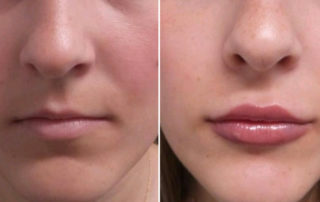 Look through our before and after gallery to see real patients’ results from our filler and injectable treatments. It’s never been easier to get the body you’ve always wanted! Volume loss is one of the most obvious signs of aging. As we age our skin naturally loses collagen, elastin and hyaluronic acid. In fact, we lose 50% of our body’s natural hyaluronic acid between the age of 40 and 50. The decrease in these essential skin components results in wrinkles, creases, dehydration and skin laxity. Environmental and lifestyle factors also affect your skin: exposure to sunlight, pollution, stress, tobacco and poor skin maintenance can accelerate the skin aging process. Injectables and Dermal Fillers are able to help. One of the most common questions we get asked is “how much will I need?” The amount of product injected will depend on the area being injected, your own anatomy and the results you are looking to achieve. The team at Revitalize Medical Laser Centre will work closely with you to create a customized treatment plan focusing on achieving optimal results. Treatments generally take 30-90 minutes with little to no downtime. You will see immediate results, which last for six to twelve months depending on the treatment area. Potential side effects include redness, swelling and possible bruising at the injection site which normally resolves quickly. 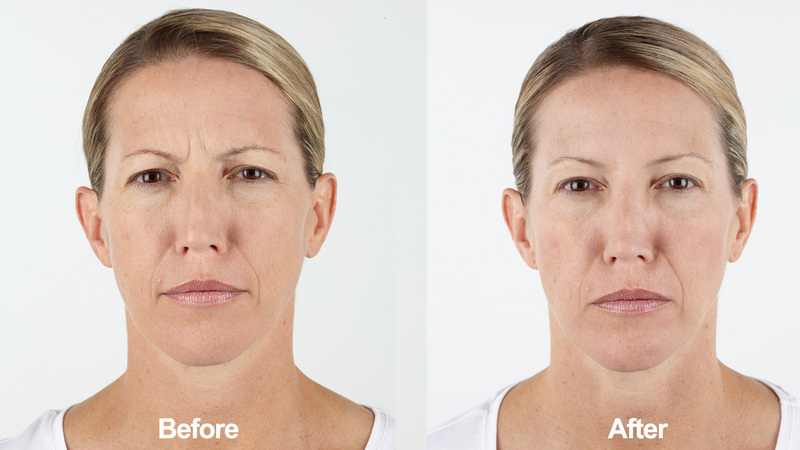 Real, noticeable results: You may begin to notice results within 24 to 48 hours for moderate to severe frown lines, with results lasting up to 4 months. Some patients report that being injected with an injectable or filler feels like a pinch: Your specialist may use ice to numb the treatment area. If you are concerned about discomfort, your specialist may apply a topical numbing cream. The actual injection process takes about 10 minutes: Your specialist will discuss your treatment goals and perform a facial analysis to determine the appropriate treatment areas. You’ll look like yourself—only with less noticeable frown lines and crow’s feet: You should not lose the ability to show expression when you are treated by someone who is a medical expert in facial anatomy. Return to your daily routine: Treatment requires minimal downtime or recovery; it’s often called a lunchtime procedure. You’ll be able to go about your normal routine immediately after you leave. Have questions? Contact us today and setup a free consultation and discover why Revitalize Medical Laser Centre is North America’s most trusted brand for laser treatments and skin care procedures.